Are you tired of letting your addiction ruin your life? Maybe you have burned a couple bridges or even lost your job, but it’s never too late to get the addiction help you deserve from a real sober home. 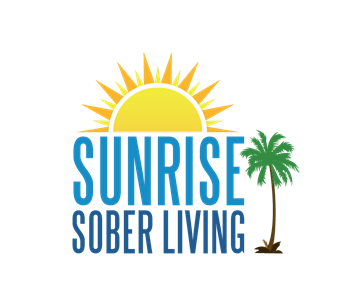 At Sunrise Sober Living, our goal is to help you get sober and stay sober when you return to your everyday life. Let’s jump right into why you should consider staying at our halfway home! At Sunrise Sober Living. we offer a halfway home for anybody who is looking to get sober and stay sober. When living in your normal home surrounded by the temptation to use drugs and alcohol, it will be harder than ever to get sober and stay sober. While you have options when it comes to a treatment center, many don’t offer a halfway home to stay after your treatment is over. Just because your treatment is finished doesn’t mean that you are ready to get back into your everyday life. When you aren’t ready to return to your everyday life, you could find yourself relapsing into the same old habits. That’s why we created our halfway home, to help you get back on your feet and ready to move back into your community. We offer a safe drug-free halfway home for anybody trying to stay sober and learn from counselors who make you feel relaxed and help you enjoy your sobriety. At Sunrise Sober Living, our halfway homes are different than others because our team has so much experience helping people find a better life. Relapsing is the worst, but you don’t have to worry about relapsing staying at our halfway home! What are you waiting for? Break the chains of addiction today and take back your life! Sunrise sober living has not only help me grow and saved my saved my life but they provide me the services and stepping stones that I desperately need to achieve my goals. From the owners down to clients like myself everyone of them rooted for me and still are. This place has become my home and family and I’m very blessed and grateful to say that. My experience here has been great. I've never felt as safe and happy as I do here. There's always someone around to listen and help no matter the situation. I'm always grateful for this place and would never go anyplace else. The staff is amazing. If recovery is your main objective then Sunrise Sober Living is the place for you to put yourself back together. From top to bottom the entire staff wants to help you help yourself. I love this place from the bottom of my heart and appreciate all they've done for me. Sunrise Sober Living has been so much more to me than just a place to live while acquiring clean time. It has taught me how to continually grow in my sobriety. It has taught me the value of structure, the importance of networking and how to give back the things that were given to me here. The people that work here have become family, they genuinely care about you and will do everything they can possibly do to help you along your journey. Thanks to Sunrise I can honestly say today that I am living a enjoyable, purposeful and meaningful life. If it wasn't for sunrise sober living or the edge recovery.. I highly doubt I would be where I am today. Not just financially but mentally and physically. I have made so many forever friends including clients staff and house managers. Sunrise sober living is a family. The staff is amazing, and my living situatiom is perfect. Sunrise has been a great help to my recovery all the staff members really put in effort to help. They always make sure your doing well. The house is clean. Clients are always friendly. I would say this would be a great place to come to if your serious about getting your life back on track.